The first step to tracking your collection is to register for the website. If you already have an account on Character Central you can use that account and just Login. One of Each Tsum: If you only care about having one of a specific Tsum and it doesn't really matter which version you have then you should select this option. If you only want one of each Tsum Tsum then this should be your collector type. With this type set you will only have one check box to say if you have or want this Tsum. 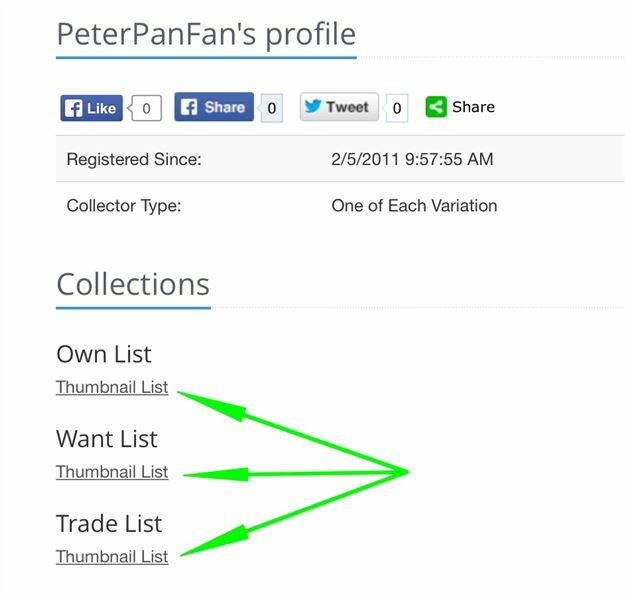 For your trade list it will still show the different types since the person you are trading with might be a variation collector. 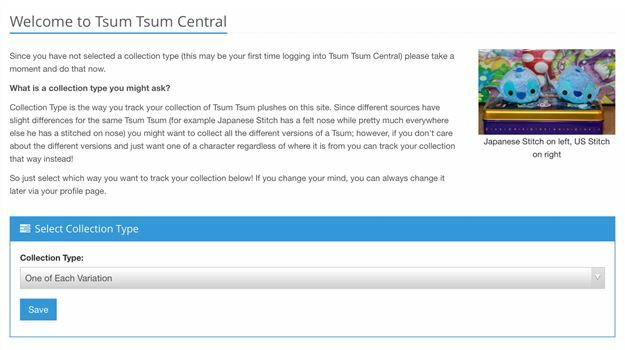 Once you are logged in, when you go to a Tsum's page on the site you will see the options shown next to the Tsum's picture. 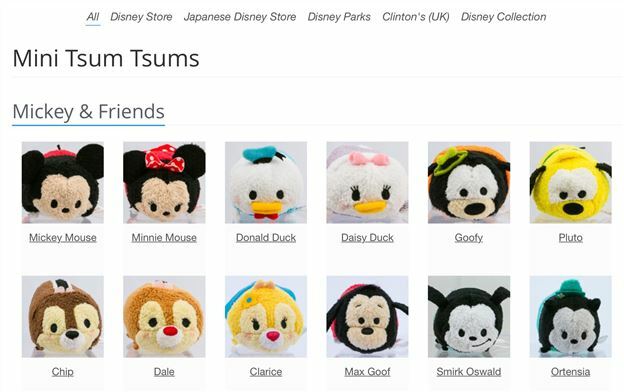 You can find Tsums to add to your list via the Plush Character List Page found by clicking here (It can also be found via the site menu at the top of every page). 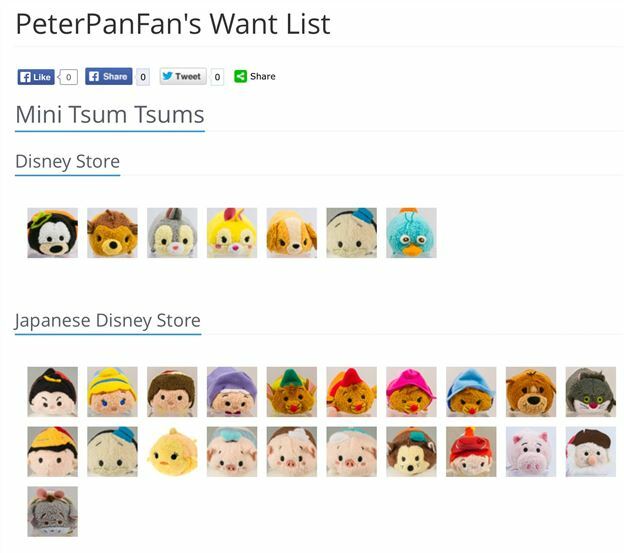 At the top of the list are links to filter the Tsums displayed based on where were released. Just click on the picture of the Tsum and it will take you to that Tsum's page where you can add it to any of your lists.